So Ubuntu, one of the most popular Linux distributions moved to upstart in late 2006, but this init daemon they adopted, was not widely embraced. Debian, OpenSuse, Fedora, and Red Hat at some point in the last five years supported upstart. 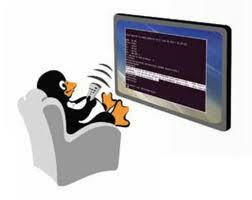 Red Hat Enterprise Linux (RHEL) version 6 and derivatives such as CentOS still use upstart. But all of them are ditching upstart for something better, i.e. SystemD. In fact, the Debian technical committee recently voted and they will switch to SystemD in upcoming releases, leaving Ubuntu no choice but to follow. It now looks like SystemD will be the default initialization and boot method for Linux systems for many years to come. But what does systemD do different? SystemD, is a system and services manager for Linux that was developed by a team from Red Hat, spearheaded by Lennart Poettering, the creator of pulseaudio, and Avahi. SystemD makes Linux systems boot faster since processes are ran in parallel. Once started, processes are monitored, and restarted if they crash. SystemD also reduces the dependency on shell scripts to do much of the work. Other systemD features, include a cron-like job scheduler, an integrated login manager, which offers ‘multi-seating’ functions. It also has a new an improved logging mechanism called the journal, that will likely replace syslog, the current logging facility on Linux systems. Below is some technical information to get you as the administrator started with systemD. Please note that there are several manuals and online resources available that will help you understand systemD, I will mention a few at the end of this post. SystemD is installed by default on recent versions of Fedora, and Arch Linux. For other distributions like Debian and Ubuntu, you might have to wait a bit for systemd to be packaged as the default init system. It is actually recommended that installation is done by the distribution vendors. But if you are the brave type, you can of course install it from source. Pick up the source tarball and follow the instructions contained in the README file included with the sources. After installation is completed, you will need to start converting your old startup scripts to systemD. At this time, only SysV init scripts for commonly used services, have been ported to systemD. So you will need to know how to write a service file for rarely used daemons or for that program you are developing. Below is an example of a systemd service file. By the way, these are what those files in “/etc/init.d” used to be. At a minimum, you will need these three sections; unit, service, install. Description: A string describing the service and what it does. After: If service depends on another one, then indicate that it should come after those targets. Notice in my example that one of the pre-requisites for this service is the network service. You will see that often, as most services expect the network to be already running, so always include it. You can also add ‘Before’ which does the opposite and starts this service before units listed. Type: You must always have a type, which can either be forking, simple, oneshot, dbus, or notify. For most daemons, forking should suffice, as it forks the processes by putting them in the background after start. ExecReload: This is the command that is called in order to reload the daemon’s configuration file. ExecStop: This is the command that is used to stop your service. PIDFile: Enter the file path containing the process ID of your service. SystemD reads this file after startup. WantedBy: Set a target where this service will be grouped. Like run levels in SysV language. This how-to barely scratches the surface. There are lots of neat tricks you can perform with systemD that your old dog SysV and upstart could not. So take the time to learn it.